Cruisy's and Mini Fernando were quick to begin. Moon Phase, Ohio Fernando and Venus Allen collided soon after the start, checking Ohio Fernando. Mini Fernando and Cruisy's collided approaching the first turn, checking both greyhounds. Mrs. Hardwicke checked off Ohio Fernando approaching the home turn. Cruisy's and Cash No Bounce collided approaching the winning post, checking Cash No Bounce. A pre race sample was taken from Riverdale Danger. Kimura went up with the lids at box rise and was slow to begin. Cawbourne Lambo and Big Tilly were slow to begin. Cawbourne Lambo and Kimura collided soon after the start, checking Kimura. Sirius Matters checked off Just Audrey approaching the first turn and collided with Sight Screen. Kimura and Cawbourne Lambo collided on the first turn, checking Kimura. Sirius Matters and Sight Screen collided on the first turn, checking both greyhounds. Riverdale Danger and Just Audrey collided on the first turn. Pharoah's Dream, Just Audrey and Sirius Matters raced wide in the home straight. Gagey's Snags, Red King Prince and Mickie Raven collided soon after the start, checking Mickie Raven. Gagey's Snags and Red King Prince collided approaching the first turn, checking both greyhounds. Lochbrae Moss checked off Completed on the first turn. Trapezius and Red King Prince collided on the first turn, checking Red King Prince. Calabrese Bullet was quick to begin. Boof's Banjo was slow to begin. Zenstar, Jimmy's Angel and Sub Zero Magic collided soon after the start, checking Jimmy's Angel. Cavalry Rose, Zenstar, Sub Zero Magic and Take That Banksy collided approaching the first turn, checking Take That Banksy and Zenstar. Zenstar, Sub Zero Magic, Take That Banksy and Boof's Banjo collided on the first turn, checking Boof's Banjo, Take That Banksy and Zenstar. Take That Banksy and Boof's Banjo collided on the first turn, checking both greyhounds. Jimmy's Angel and Cavalry Rose collided on the home turn. Stewards spoke to handler Mr Nathan Hunt after the greyhound Yeran was placed in the incorrect kennel during the kennelling process. Mr Hunt was issued with a warning and reminded when kennelling he ensures greyhounds are kennelled in accordance with kennel procedure. Stewards spoke to kennel attendants, and this matter was referred to the Club Manager for further consideration. Mr Troy Scott, trainer of Ima Sapphire, declared a new weight of 25.5kg for the greyhound in accordance with GAR 39(2). Ima Sapphire last raced at 26.9kg. A pre-race sample was taken from Macfid Magic. My Barcia and Nicky Jo collided approaching the first turn, checking both greyhounds. Ima Sapphire and Sukhoi Su collided on the first turn. Destini Florida stumbled at box rise and lost ground (3L). Tiggerlong Ring, Popowski and Lireva collided approaching the first turn, checking all three greyhounds. Tiggerlong Ring and Leeroy Rox collided on the first turn. Tiggerlong Ring and Popowski collided entering the home straight, checking both greyhounds. Destini Radar and Tiger Cabang were quick to begin. Zipping Dancer and Riverdale Paddy collided soon after the start, checking Riverdale Paddy. A pre-race sample was taken from Dynamite Jackson. Dynamite Jackson and Royal Bruno were slow to begin. Barked Off, Zuberi and Bryden Dora collided soon after the start, checking Zuberi. Dashing Diamond and Dazzling Melody collided approaching the first turn, checking Dazzling Melody. In Dee Genes and Dashing Diamond collided on the first turn, checking Dashing Diamond and Barked Off. Zuberi and Dynamite Jackson raced wide on the home turn and again in the home straight. Dazzling Melody and Royal Bruno collided on the home turn, checking Dazzling Melody. In Dee Genes checked off Dashing Diamond approaching the winning post. Stewards spoke to Ms Deborah Coleman, the trainer of Slingshot Storm, regarding the length of time the greyhound has had between races. Slingshot Storm last raced on 9 March 2018. 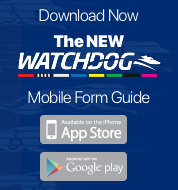 Ms Coleman stated that the greyhound was returning to racing following a change of kennel. A pre-race sample was taken from Slingshot Storm. Miss Kirteish was quick to begin. Spring Kitty and Suspicious Lee collided approaching the first turn, checking Suspicious Lee. Gomer Bale, Slingshot Storm and One Mississippi collided approaching the first turn, checking One Mississippi and Slingshot Storm. Gomer Bale and One Mississippi collided on the first turn, checking One Mississippi and Slingshot Storm. Cruisy's Empress and Miss Kirteish collided on the home turn, checking Miss Kirteish. Stewards spoke to Mr Damian Fleming, the trainer of Bush Destroyer, regarding the length of time the greyhound has had between races. Bush Destroyer last raced on 27 February 2018. Mr Fleming stated that the greyhound was returning to racing following a front left toe injury. A pre-race sample was taken from Rock'em Elvis. Primrose Diamond was slow to begin and crossed to the rail soon after the start. Merl's Angel, Rocket Riley and Fiery Universe collided on the first turn, checking Rocket Riley and Fiery Universe. Blitzen Bell, Rocket Riley and Fiery Universe raced wide on the home turn and in the home straight. 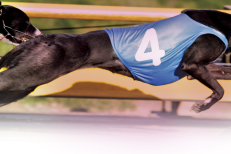 Satisfactory Trial Results - Night Theory trialled over the 400m from box one, weight 32.4kg, the greyhound was placed first in a field of four. The time of the trial was 22.84, the greyhound won by a margin of 11.5L. Night Theory was cleared.